Women are no strangers to suffering in the name of fashion but in an attempt to stay fashionable we may be putting our bodies at risk. Without second thought we throw on the pumps and swing the 20-pound purse over our shoulder, all the while chopping up those small aches and pains felt at the end of the day to our busy schedules. From heavy purses to high heels to skinny jeans many of our favourite items to wear can take a significant toll on our body if not worn properly. It’s obvious that we are not doing away with our prized fashion possessions anytime soon, so it’s important that we aware of the effect that these items have on our body and how we can modify how we wear them to minimize any negative effects. In an attempt to be ready for any situation we may face during the day its seems that our handbags have grown bigger and bigger. We’ve transitioned away from small pocketbooks to handbags filled with tablets, laptops, make-up cases and wallets; this extra load adds stress to the muscles, tendons, ligaments and bones in the neck, shoulder, upper and lower back areas. Common complaints and symptoms include headaches from added stress on the neck muscles, shoulder injuries from the shoulder muscles working harder to keep them leveled, and even nerve damage. The weight of these heavy bags are often supported by straps that are not proportionate to the weight they are carrying which in turn causes compression of nerves travelling down the shoulder and into the arm, this may lead to numbness, tingling, and pain felt in the arms, hands and fingers. Lastly, when carrying any extra load the body compensates by leaning away from the load, this shift in posture causes the muscles on the opposite side to work harder leading to muscle fatigue and pain in areas such as the low back. 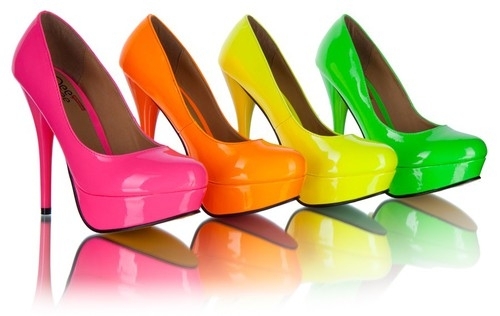 Many women experience aches and pains in areas other than their feet after a long day in heels. While it is still up for debate whether wearing high heels has an impact on the curve of your spine what we do know is that when you step into a pair of heels your posture is altered and by doing so your muscles must respond accordingly. Studies show that wearing heels for prolonged periods change the normal activation patterns of muscles in the core, glutes, thigh and calf area, so what does this mean? This means that these muscles are turning on faster and staying on for longer periods of time than when compared to flat shoes. This change in muscle activation causes early muscle fatigue and compensation of surrounding muscles, which can lead to muscle strains, tightness and soreness. While a night out on the town may not impose any significant risk to the body, routinely wearing high heels over time can lead to more chronic pain and injuries. Skinny jeans and nerve damage four words you never thought you’d hear together but there is a link between these two things; a condition called Meralgia Paresthetica. Meralgia Paresthetica also referred to as ‘thighs on fire’ or ‘tight jeans syndrome’ is a nerve condition that is caused by compression of the lateral femoral cutaneous nerve, a nerve that travels down the pelvis and over the outer part of the thigh. The nerve is susceptible to compression by tight jeans especially low rise jeans due to its path from the pelvis to the thigh, it lies directly under the skin, without passing through any muscle. Pressure on this sensory nerve can cause symptoms of tingling, numbness, burning and pain over the outer part of the thigh. The number one tip when it comes to fashion and pain is to listen to your body, over time minor aches and pain that you ignore can accumulate and become more serious and chronic conditions. If you’re still experiencing pain after following some of these tips and making the needed adjustments contact The Health Institute at 1-800-769-3320, with a full staff of health professionals including chiropractors, massage therapists and health coaches let us help you become pain-free.